From Cardinal games to Sun Devil games in the fall to Diamondback games in the summer, sports give Arizonans a million reasons to get together and celebrate with friends and family. Whether you are meeting at the arena to tailgate and be there for the action, or headed to someone house to watch, there is one staple food that is a must have at any tailgate or party, WINGS! Chicken wings are not only a party necessity, but they are also an everyday favorite in my household. As good as wings taste, they do not make the healthiest meal. This is partially why I have searched high and low for a healthier alternative. My other incentive was my love for buffalo sauce has made my decision a few years ago to remove beef, chicken, and pork from my diet all the more difficult, since it meant no more wings! On a menu at one of my favorite local restaurants I noticed cauliflower wings, instantly I knew I had to try them! Finally, wings for vegetarians! They were breaded and fried like traditional boneless wings and tossed in buffalo sauce! YUM, with bleu cheese dressing for dipping, I was in taste bud heaven. As happy as I was to have vegetarian wings, the breading and deep-frying left them about as unhealthy as traditional wings. Since creating a healthier option was my goal, I began experimenting. After a few trial and error attempts at other recipes, I discovered a really simple, quick recipe that seemed to hit at the core of what I was looking for. This recipe was from Kyle Lynch who blogs at Closet Cooking. It requires very little prep, and is very simple to execute. I was happy that there was no breading or frying involved and that it can be easily adapted to your favorite wing seasoning and sauces. Our cauliflower wings with buffalo sauce have more fiber and less fat and calories than the traditional and boneless chicken wing. Another important nutritional difference is in the sodium content. Once sauce is added to the traditional and boneless wings, their sodium content will quickly increase. Per serving 306 mg of the sodium content in the cauliflower wings comes from the sauce. The first time I showed up to a party with these cauliflower wings they were the last to be tried by guests. Once everyone tried them however, they have become a requested addition to every party we go to. Even better, my husband and I enjoy these for lunch or dinner with carrot and celery sticks on the side. It is a healthier and less labor-intensive way to enjoy the buffalo taste we love. 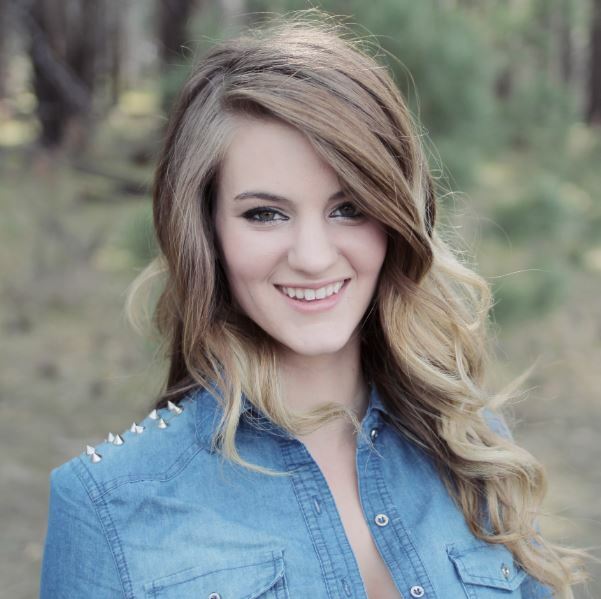 Editor’s note: Lisa Kaschmitter is a nutrition major attending Arizona State University. 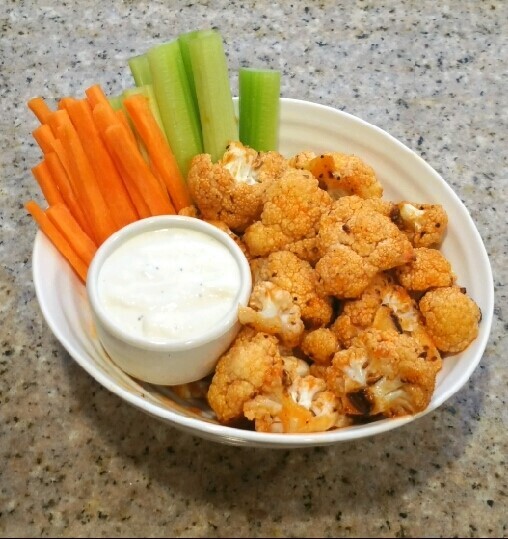 This entry was posted in Cooking, Health Tips, Healthy Eating, In the Kitchen, Recipes and tagged Buffalo wings, Cauliflower, Healthy, Recipe. Bookmark the permalink.